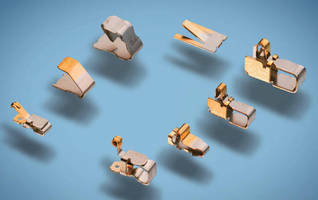 Suited for use in elctronic devices, scalable spring fingers (shield fingers) are available in heights from 1.8-3.4 mm and are swappable upon demand. Preload function optimizes working area and contact force, while dimple on contact enhances reliability. Backward-bended tip prevents product from hooking by removing sharp edge, and pick-and-place area on back supports auto assembly processes. Also, holes at bottom increase soldering strength while reducing solder wicking issues. 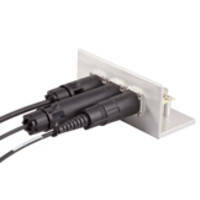 HARRISBURG, Pa. - As the demand for electronic devices continues to increase, so does the need for internal connections within these devices. In response to this growing trend, TE Connectivity (TE), formerly Tyco Electronics, offers scalable spring fingers as well as a complete family of spring fingers to serve this surging need across all industries. TE's scalable spring fingers are available in heights from 1.8mm to 3.4mm. 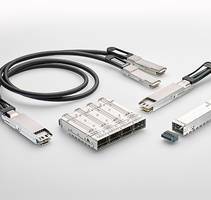 "All these types can be mounted onto one single footprint, enabling the customer to swap the product easily when a design change is required," says Eric Himelright, director of product management, TE. "With the launch of scalable spring fingers, we are prepared to help our customers reduce design cost as well as accelerate time to market and time to value." Another important feature of TE's scalable spring fingers is their preload function that nearly doubles the working area of a common spring finger and increases contact force by 0.2 N. The product also has a dimple on the contact, which helps enhance product reliability. The backward-bended tip prevents the product from hooking by removing the sharp edge. On the back of the scalable spring finger, there is a pick-and-place area that supports customer auto assembly processes. The holes at the bottom of the product increase soldering strength while reducing solder wicking issues. Besides scalable spring fingers, TE offers a product family of spring fingers in a range of styles and sizes. Currently, four styles are available. Their effective heights range from 0.3mm to 6.5mm with widths ranging from 0.8mm to 2.5mm. They all require very limited space on a PCB (printed circuit board) and accommodate soldering as well as pick and place using standard equipment. 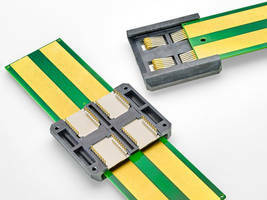 Spring fingers, also known as shield fingers or universal ground contacts, have three main uses: They can be used for grounding between a device and a PCB; they provide shielding against vibration from motors, antennas, speakers, and microphones; and they can be used as signal connectors to transfer data as well as a connection for stacking applications between primary and secondary PCBs. "TE's spring fingers are used in various applications ranging from mobile devices and personal computing to home entertainment and industrial equipment," says Olive Wu, product specialist, TE. Spring fingers can be used in any small PCB application. For more information on TE's scalable spring finger and spring finger product family, please visit www.te.com/products/Spring-Fingers-PR . About TE Connectivity TE Connectivity is a global, $12.1 billion company that designs and manufactures over 500,000 products that connect and protect the flow of power and data inside the products that touch every aspect of our lives. Our nearly 100,000 employees partner with customers in virtually every industry-from consumer electronics, energy and healthcare, to automotive, aerospace and communication networks-enabling smarter, faster, better technologies to connect products to possibilities. More information on TE Connectivity can be found at http://www.te.com/. TE Connectivity and TE connectivity (logo) are trademarks.